Crystal Creek Open House May 13th, 2017 11 a.m. – 1 p.m.
Come and help us celebrate 20 years in business! 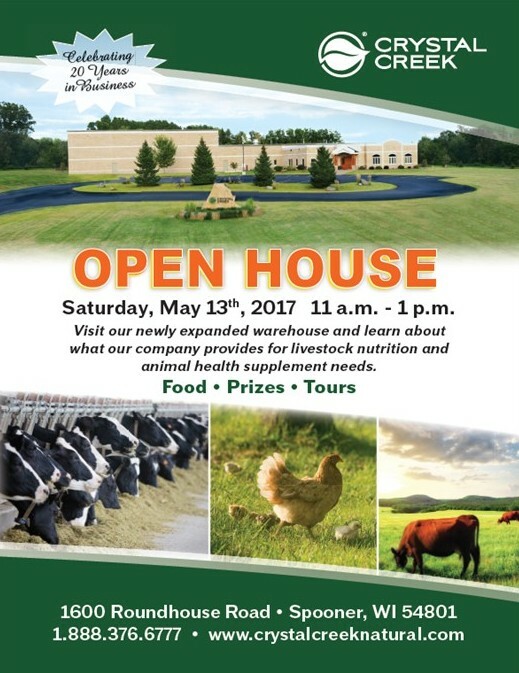 Join us Saturday, May 13th, 2017 from 11 a.m. to 1 p.m. for food, prizes and tours of the building including our newly expanded warehouse. Our friendly staff will be on hand to answer questions and provide information on our products and services. We look forward to seeing you!